CORMACK, NL – A new brewery in Western Newfoundland has announced the release of its first two beers. 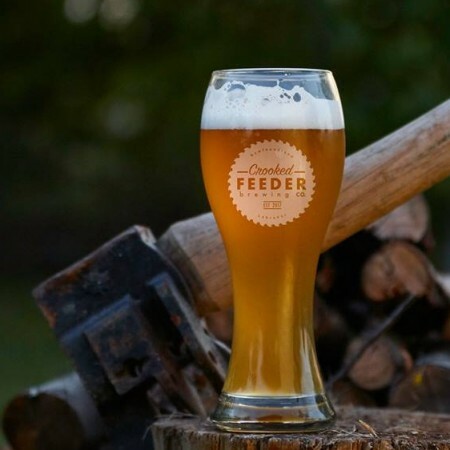 Crooked Feeder Brewing has been founded by partners Robert Sutton, Ray Brake, and Corey Wight in Cormack, a small community approximately 18 km north of Deer Lake. Not yet open to the public, the brewery is concentrating on keg sales to bars and restaurants for now, with Bonne Bay Blonde Ale available at Newfound Sushi, and Bunker C Double Chocolate Stout at Bootleg Brew Co., both in Corner Brook. Details on growler sales will be announced soon, and a brewery taproom is planned to open in 2019. For more details, see the Crooked Feeder Brewing Facebook page.